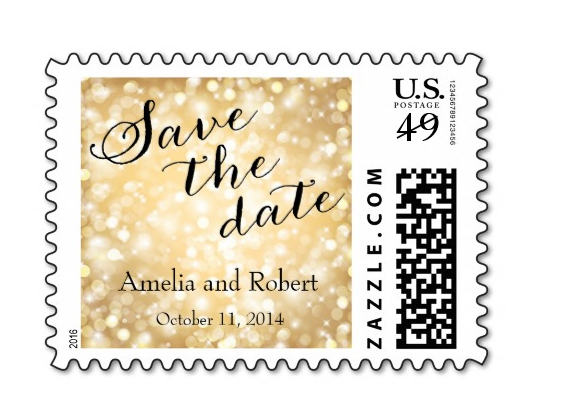 Custom wedding postage stamps can be a thoughtful compliment to your beautiful wedding invitations. Especially if using calligraphy, it would feel strange to add a regular stamp from the Post Office. 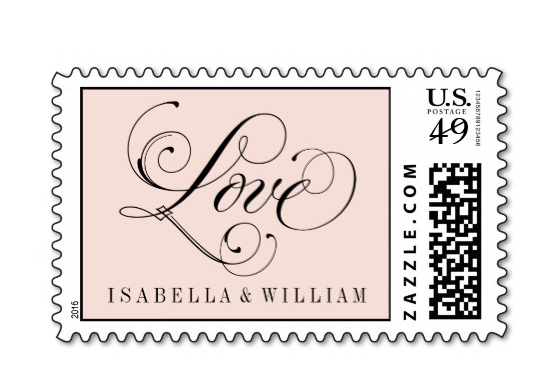 For 100 stamps from Zazzle, instead of $49, you would pay $122 with shipping. Yes, this is more than double the price, but when you consider the amount you're spending on the invitations and/or calligraphy, it is a nice touch. Order your invitations first, as you want the stamp to go with the envelope & the general feel of the wedding. Modern & monochromatic? Soft & romantic? Cheerful & colorful? The next step is important: take your invitations to the post office to be both measured & weighed. 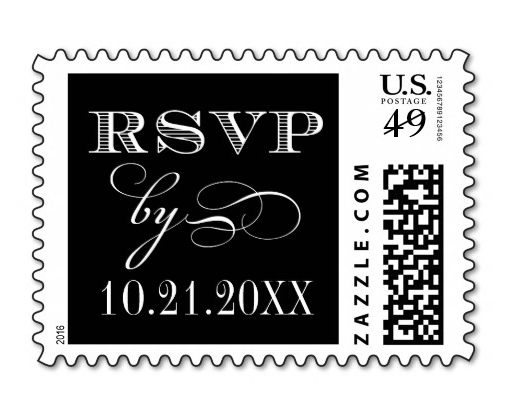 Most invitations will need special stamps. Make note of this so you know what to order from Zazzle. I used one stamp on the envelope and a different one on the RSVP envelope. Finally, I ordered a third set for my thank you notes. Your wedding invitation is the first thing your guests will receive that sets the tone of the wedding. Make a good first impression!